Comparative negligence relates to your own responsibility in a motorcycle accident, in comparison to the defendants responsibility. Your PA motorcycle accident attorney will argue on your behalf to keep comparative negligence to a minimum, so the court will establish a greater percentage of liability for your PA motorcycle accident to the other party. The percentage of liability determines the percentage of the resulting damages each party is responsible for. In Pennsylvania motorcycle accident lawsuits brought to recover damages for negligence resulting in a motorcycle accident death or personal injury, the plaintiff may be found guilty of comparative negligence. If the amount is 10% of fault, then the defendant is responsible for 90% payment of damages. 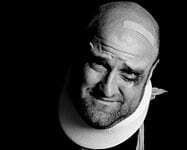 The personal injury victims actions will not bar a recovery sought by his/her motorcycle accident lawyer where such negligence was not greater than the negligence of the defendant, however, any damages that may be recoverable by the victim will be reduced in proportion to the amount of negligence attributed to the plaintiff. In practice, this is a legal defense tactic used by defendant’s attorneys to reduce the amount of damages they are required to pay the victim. A simple example of this may be the defenses claim that you were driving above the posted speed limit, and therefore contributed to a motorcycle accident because at the speed you were traveling you were not able to avoid the accident. Comparative negligence applies when you are represented by a motorcycle lawyer for pain and suffering, as well as for property damage, accident medical bills, and lost wages from your motorcycle injury. Comparative negligence originated from the doctrine of “contributory negligence” which disallows any recovery for the victim if they contributed, even a little bit, to the cause of the accident. This was subsequently modified to become what lawyers now argue as comparative negligence. One area where motorcycle accidents vary from other areas of the law are in off-road riding. Off-road motorcycle riding area operators do not have a duty to protect riders from common, expected and non-negligent risks inherent to riding off-road, including collisions with other riders or objects. The principle of voluntary assumption of risk applies to all actions to recover damages for negligence resulting in death or injury to person or damage of their bike brought against any off-road vehicle riding area operator. In other words, no comparative negligence applies in that case. As your PA motorcycle accident attorney, I will evaluate your level of comparative negligence when gathering the facts of the case. Call me at 888-292-5352 (888-cycle-law) for a free, no obligation consultation.